Like many of you, I live far away from any fabric stores or fashion schools that might have sewing courses to further my sewing skills. Not having nearby knowledgeable sewing instructors is frustrating, but thankfully, there’s plenty of information available online. 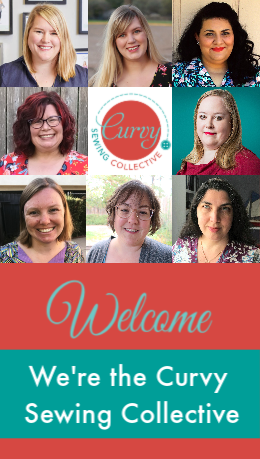 One such venue is Craftsy, with their many sewing courses that allow you to learn at your own pace and actually watch the instructor teach you things, which can be very helpful when it comes to techniques that are easier to learn when you see a sewist doing it. The first Craftsy class I chose after perusing the titles and reading about classes that interested me, was Barbara Deckert’s Plus-Size Pattern Fitting & Design and I thoroughly enjoyed the experience. I am more of a book reader when it comes to sewing and I often watch YouTube videos if I get stumped or need a refresher. I always thought that Craftsy classes were a bit too expensive, but then I had the opportunity to take one and I was pleasantly surprised how informative it was. Plus, you get a pattern with your class! It’s a lot like taking a class in person, but I can do it while in my nightgown and laying in bed! As this was my first Craftsy class, I wasn’t sure what I would get out of it and/or how worthwhile it would be for me. I was a bit confused by what level of sewist was suggested to take this class as well. Although I am more of an advanced sewist myself, I enjoy reading sewing books that are geared towards beginners and intermediates as I find that there are always different ways to do things and with sewing — just as with any other genre — you can never know too much! I figured this was a good opportunity to watch an expert do some sewing! First off, what I enjoy about Craftsy classes is that most of them are taught by esteemed experts in their fields. These are people (like Susan Khalje and Alison Smith) that I would gladly pay a good amount of money to attend a workshop with, but instead, I can pay a more minimal amount and watch them on my tablet whenever it’s convenient. Barbara Deckert is the author of Sewing for Plus Sizes: Creating Clothes that Fit and Flatter. I recently purchased this book and it’s been an interesting and valuable read although it’s a little dated. She’s a plus size woman herself and is a vault of knowledge when it comes to fitting curvy bodies. Plus-size women deserve cute clothes! Learn how to make comfortable and flattering garments with Barbara Deckert, author of Sewing for Plus Sizes. Who says you can’t be plus-size and fashionable? Learn how to make stylish clothes that fit and flatter your body in Plus-Size Pattern Fitting and Design. Barbara Deckert draws on years of custom dressmaking and her own experience as a large woman. She teaches this class with honesty, warmth and humor. As you work along with Barbara, you’ll pick up dozens of techniques and design tips about pattern adjustment, fitting and construction. Her techniques apply to any garment, for any size person, male or female. But this class focuses on the unique figure variations and clothing needs of the plus-size woman. It’s about time! Included with this class is Vogue 8815, a pattern for a peplum top that she demonstrates re-sizing, fitting, and design variations on. The regular price for Plus-Size Pattern Fitting & Design is $49.99. Craftsy often has sales and it appears that there’s one going on now as I write this post and it’s currently $24.99. This class is more of an advanced beginner/intermediate class, so most of it was a refresher course for me. I did enjoy her lesson on croquis and how she talked about body shapes. I am still not completely certain what “shape” my own body is. According to my measurements, I am more of a pear shape and according to Ms. Deckert’s croquis, I am either a pear or “Madame Peanut.” With this class, you get a lot of informative instruction materials, plus a very involved measurement chart, worksheets and croquis so you can attain the perfect fit. Ms. Deckert went through the process of making a paper tape dress form as well, which was really nice to see someone do that rather than just reading about it and looking at photos. She also padded an existing dress form (which was oddly similar to my measurements) and used that form to show pattern fitting. It was also nice to see an expert do pattern grading! She used a dressmaker’s ruler (of which I should really add to my sewing arsenal!) and used a mash-up between the shift and the slash and spread approach. She shows you how to do a number of adjustments for curvy figures including bust, arms, back, belly, etc. You can get pretty much everything you need to know about acquiring the perfect fit for your shape from this class. One of the things that I really liked hearing was how she often reiterated how sewing is not rocket science — it is just sewing! If the line you drew or the cut you made are not perfect — don’t worry about it! You can fix it later! Don’t stress to make everything perfect when you’re adjusting patterns or cutting out your fabric. It can all be made good when you sew it. It was also refreshing to hear her thoughts on making a muslin. If you read a lot of sewing blogs, you hear all the time about how you need to make a muslin first! Well… I’ve been sewing nearly all of my life and the only time I make a muslin is when I’m working with expensive fabric, making an advanced pattern or working with techniques that are new to me. Ms. Deckert has the same thoughts and also feels that it’s a waste of time to make a muslin. Instead, she bastes all of her pieces together in fashion fabric and makes adjustments from there. The only time she doesn’t do that and makes a muslin instead are for my reasons above or when she is making a lot of figure adjustments. That is good knowledge from an expert seamstress! What I learned the most from this class was about pants fitting. That’s a new territory for me as I have not sewn many pants or shorts. I also rarely wear pants and wear dresses and skirts 99% of the time, so I guess that’s why I have not strayed too far into pants territory. However, I do tend to wear jeans and leggings when the temperature drops and I’ll be referring back to this course when I’m working on my Style Arc Misty jeans for Pandora Sews current sewalong. All in all, I enjoyed taking this class and would recommend it highly to someone who wants to learn more about fitting curvy bodies. It’s an informative class and even if you’re more advanced, you’ll come away with some knowledge. It’s a class that involves the basics and a lot of information to achieve the perfect fit. I also loved how in the last lesson how she altered the pattern in varying ways which I definitely would have never thought of, even though it wasn’t exactly my taste or style. Very interesting! I really feel that this a class I wish I could have taken when I was learning to fit my shape as I first started delving into more garment sewing as a teenager and young adult. I had no idea what I was doing when trying to make patterns fit me and most of what I know now is self-taught through trial and error. This class would have guided me through what I needed to know and not make me feel like I was all alone due to my size and how I couldn’t fit into most patterns. 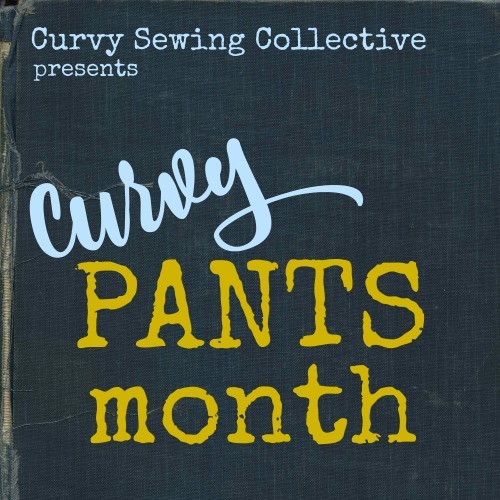 The women who taught me to sew (my mom, grandma, and my sewing teachers) were not plus-size and mostly just taught me the basics and the rest I learned from books. I didn’t feel like I could ask anyone I knew back then about fitting nor was I aware of the many techniques there are to re-size patterns. If I had Barbara Deckert around to help me via Craftsy, I would have been a rockstar pattern fitter a long time ago! I really don’t feel that this class misses much when it comes to fitting your curvy body and it deserves a high rating. Even if this class wasn’t complimentary, I would have purchased it as I feel that this class is a great value and offers a wealth of knowledge for the curvy sewist. Note: I received this class at no cost as I am a Craftsy affiliate. This is my honest review. I totally enjoyed Ms. Deckart too. She has an easy going demeanor and had good info. If you are interested in pants fitting, you might like Katherine Cheetham’s plus size pant fitting since she does touch on some of the same the grading up material found in her grading class and alterations from her fitting the waist and hips class in it. I’m using the October pass to see the latter two Cheetham’s classes, but I’ll probably add them to the wish list. I bought this class ages ago but haven’t actually taken it yet either. Your review has given me the prod to actually make the time to watch it! 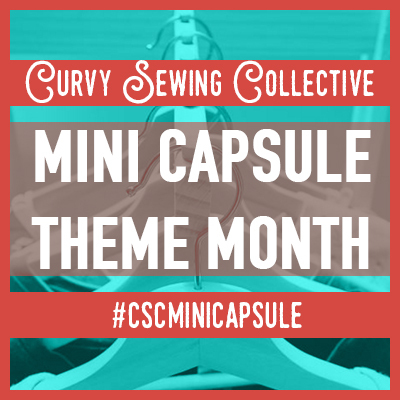 Have you tried the Zipper class on craftsy by Sunni? I loved that class too. I love your review Tanya. I bought this class on my holiday and really enjoyed it. Her methods don’t really work for me. I have bought patterns in my size and found them so poorly fitted nothing would have saved them. I continue to pattern draft. However, I found some of the tips in the class invaluable. Particularly the pants fitting ones. I am intending to pull the pattern out at some stage and see if it will work for me as I really liked the look of it. Leighann, you will find the class easy to follow I’m sure. Gillian the tips on ease were great for me as well. I spread quite a bit when I sit down and have adjusted the way I fit and sew to accommodate that.. Thanks for the encouragement, Annette! I meant to add, I have the same problem re: sewing classes. There are the ubiquitous quilt classes, but I’m not much interested in quilting. I like garment sewing, and there are no classes like that within 250 miles, it seems. I own this, but haven’t watched it yet. I’m not a beginner. I’m not sure what I am. Maybe I’m an advanced beginner, but after two recent fails in a row, I lost a little confidence. Though to be fair, one of the fails was a bad pattern choice and the other was due to fit issues. So I am sure this class would help me a lot! I’m just a bit intimidated, and worried about being in over my head and finding it too hard or confusing. I guess I’ll just have to try it and see. I can always repeat it again later; that’s the nice thing about Craftsy. Loved your review, have purchased the class…just have not taken it yet…..I hate to make a muslin….if I do I usually use some sort of fashion fabric to see what changes I have to make…..but measuring pattern pieces usually do the trick for me. I enrolled in this class a while ago and I like the fact that I can go back to it when needed. I also bought her book. I’m hoping she will do an update. The old one is informative, just dated. I regret I didn’t make the top that was the project for the class. My skills were beginner level when I first enrolled. Barbara Deckert is well skilled and knows plus sized fitting and sewing. I didn’t know about Kathleen Cheatham, I will have to check her out. Another good class is the one by Kathleen Cheatum. I live in a large town where classes are given in sewing but they are mostly quilting and smocking. Therefore the Craftsy classes are really valuable to me. Like you, I have a lot of sewing books and Barbara Dekerts’ book is one of them. I’ve purchased several sewing classes on Craftsy, and haven’t been disappointed with any of them. The feature I like the best is the ability to go back and rewatch segments for clarification. I also like that the classes don’t go away – I always have them available. Nice review, and a good reminder that a class is just a tablet away! I’ve also purchased fabric, yarn, and sewing kits, too. Craftsy is a good resource. I am currently watching this class and love it as well. She is very informative. I too have taken this class and enjoyed it very much. I’ve also taken “Fast Track Fitting” by Joi Mahon and loved it as well. I liked both the classes so much I bought both of their books! Glad to see someone else has the same opinion as I do.